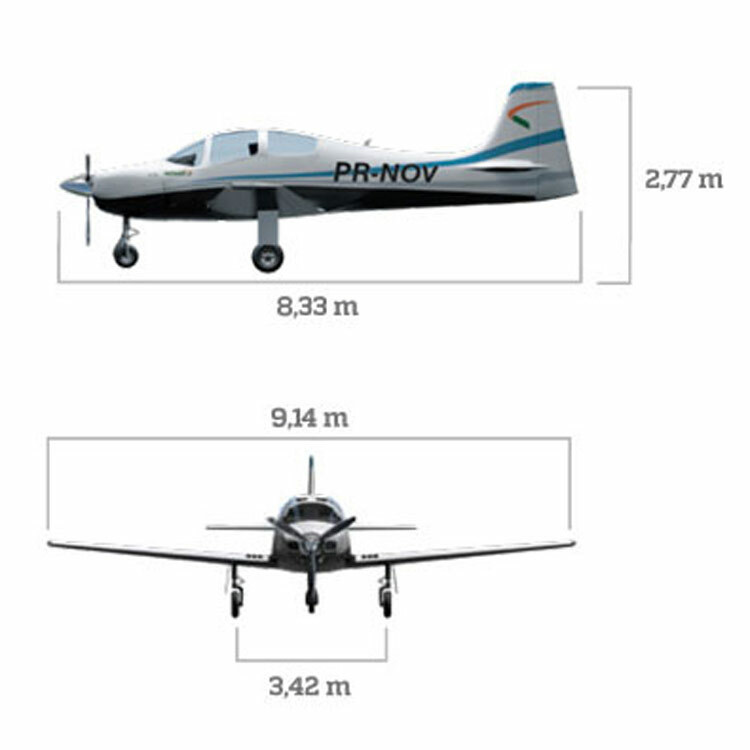 Brazil has produced aircraft in all categories of general aviation, but has left the smaller end of general aviation, piston engined or turboprops, unattended in the 80’s. 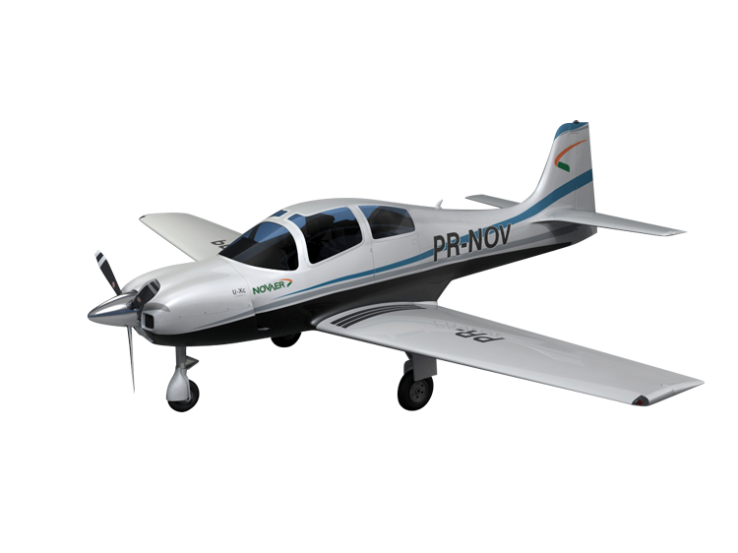 Consequently, the Brazilian market, today the second biggest market for general aviation, is only supplied by imported products. 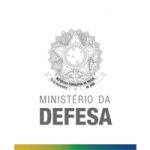 This situation has affected the Brazilian trade balance, not to mention the opportunities lost in the consolidation of the aeronautical industrial park in Brazil and in the maintenance of the workload in the park that also produces for the defense and security areas. NOVAER contemplates this gap in the market as a business opportunity and identified the niches that present the best potential in general aviation. NOVAER verifies that the aircraft currently commercialized, from potential competitors, derive from projects that have been developed more than 15 up until 50 years ago, with technologies in process of decline. Brazil has developed a reputation, of designing and manufacturing quality aircraft, because the market recognizes the fact that the strategic investment made by the government since the 1950’s has generated, aside from a big OEM, an industrial and services park of great competence and Science and Technology Institutes specialized in the necessary technologies for aircraft certification. • Trainer version: 2 seats acrobatic. 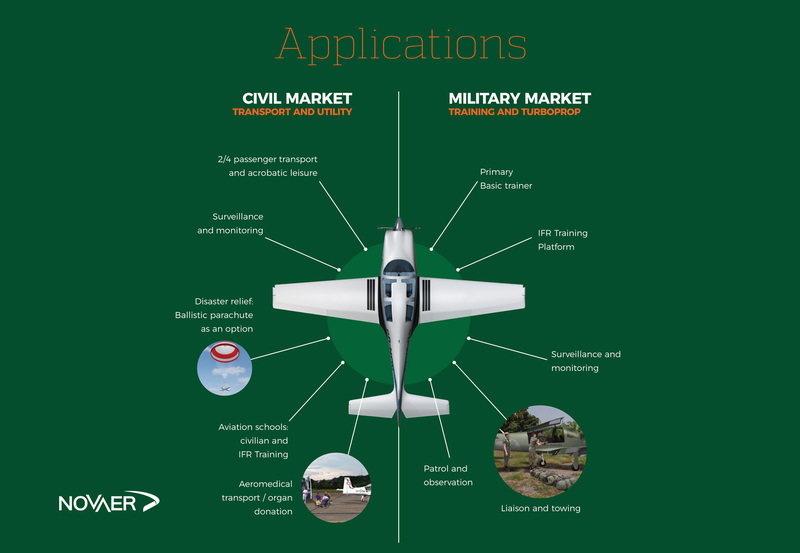 This version aims to meet the needs of military air forces, to the elementary, primary or basic training of its pilots. • Transport version: 4 seats non-acrobatic: This version aims to meet the needs of transporting passengers and small loads (also named U-Xc). The U-Xc is destined to pilots, companies, or individuals interested in transportation and recreation.  Customers of this version also include flight schools, air taxi companies and small loads carriers. 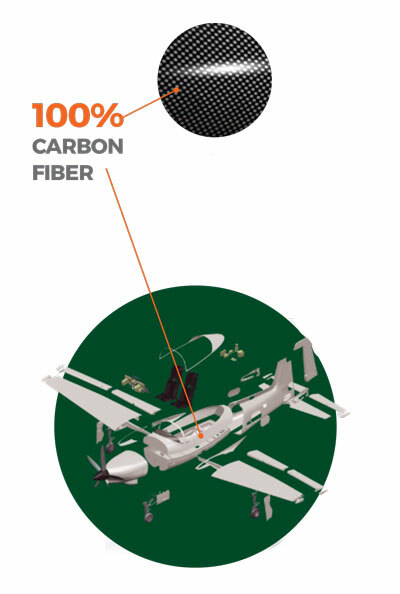 Developed from scratch, these aircraft, fully made of carbon fiber are ready to fulfill civil and military demands for training, transport and utilities. Single engine piston aircraft, 2 places (sideby side, not ejectable), all glass cockpit, pressurized, with airframe parachute (optional) and retractable landing gear (series). Access to the rear compartment through a door on the left side of the fuselage (also of the “seagull” type). Fully acrobatic aircraft, without limitation on acrobatic maneuvers from +6 G to -3G. Other requirements specific to military operation or established by public agencies may be used to meet special demands. Emergency extension (free-fall), and alerts for "power lever in aft position" and flap down to avoid forgetting. Even when in extreme positions of compensation, the pilots will be able to override in the occurrence of "trim runaway". 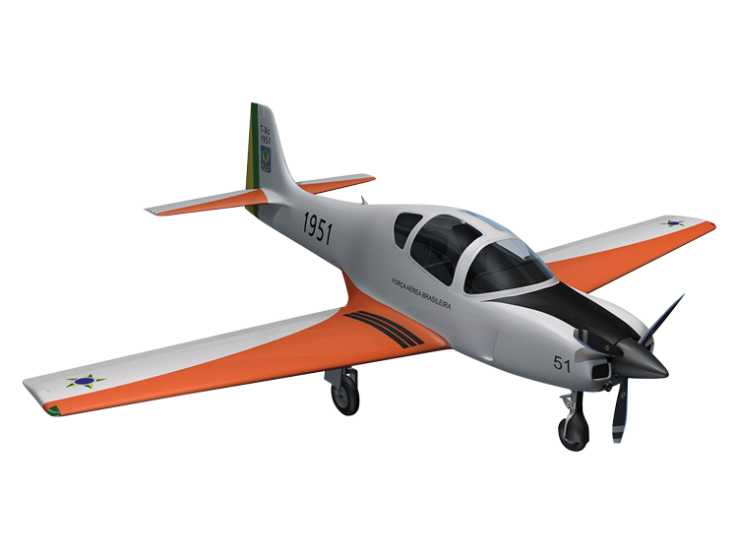 It consists of a Lycoming acrobatic engine, 6-cylinder naturally aspirated, its accessories, and a 3 blade propeller with "spinner", located ahead of the aircraft. The set will be certified for operation in acrobatic flights and the cabin is isolated by a firewall. Luggage compartment accessible through the cabin and through independent external door. 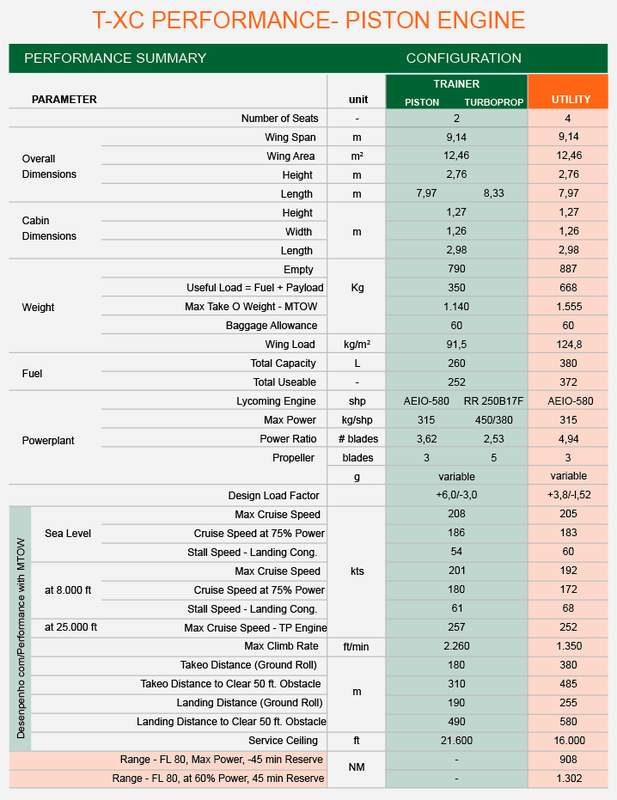 It features lower structural weight and high payload capacity, which allows it to fly with higher payload and higher amount of fuel, increasing the range and profitability of the operation. Other specific requirements and/or needs of customization may be used to meet special demands. • Innovative system of lateral control, acting in conjunction with ailerons to flaps, resulting in reduced stall speeds and therefore lower takeoff and landing distances. 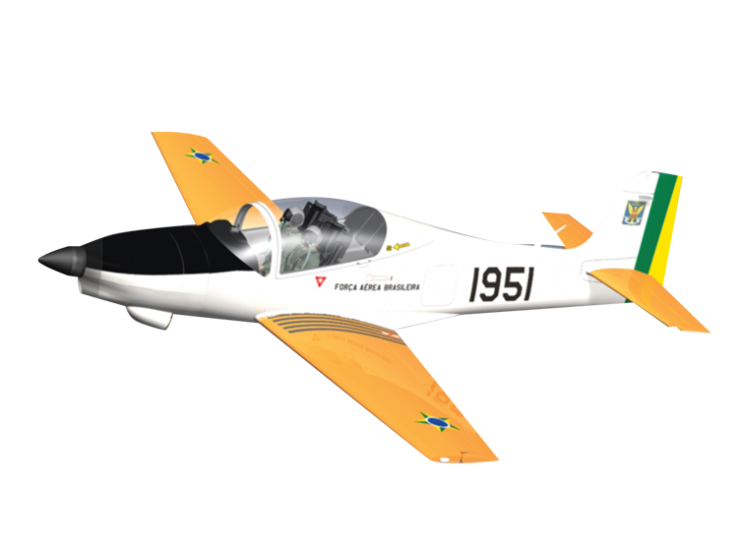 The NOVAER T-Xc is a fully aerobatic dual role aircraft based on an aerodynamic concept designed by Joseph Kovács, who also designed the brazilian Air Force aerobatic trainers T-25 Universal and T-27 Tucano.